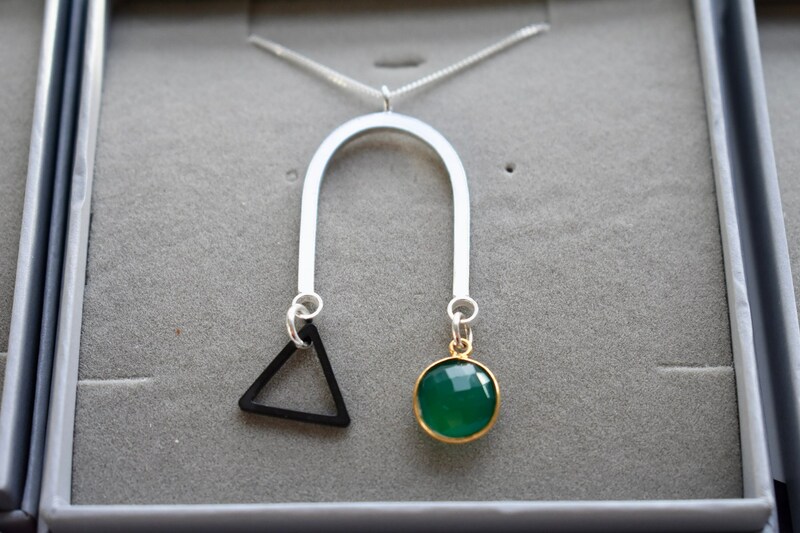 Sterling Silver, 2green onyx gemstone Graphic Necklace inspired by the artworks of Alexander Calder. 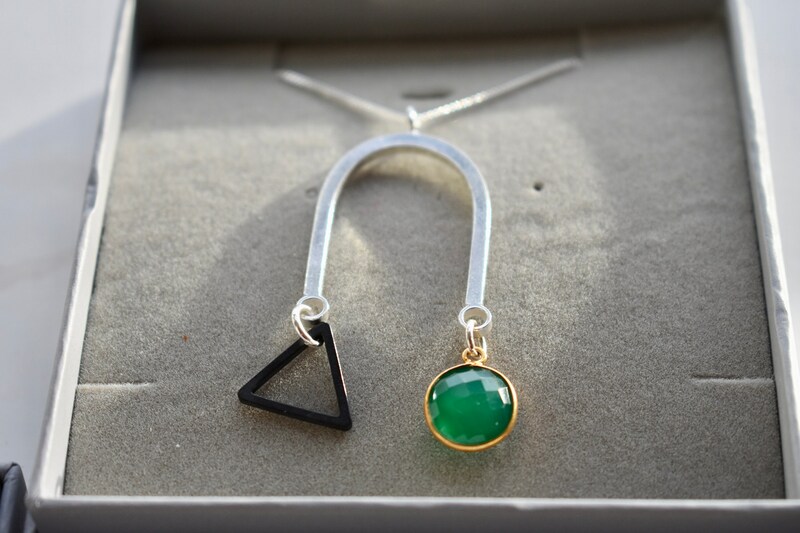 Each necklace comes gift ready in a box. 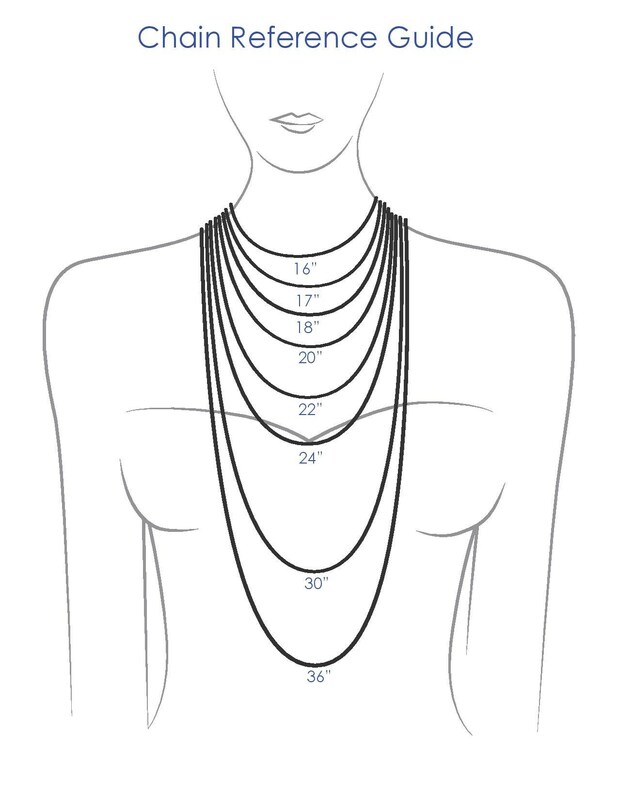 The sterling silver chain is available up to 24", please refer to the photo diagram and let me know the desired length when you purchase. 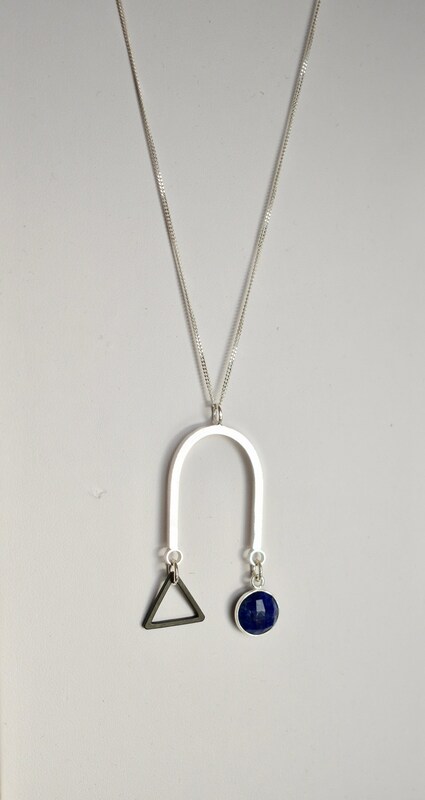 The necklace pictured in this listing is for display purposes as all new purchases will be made to order. 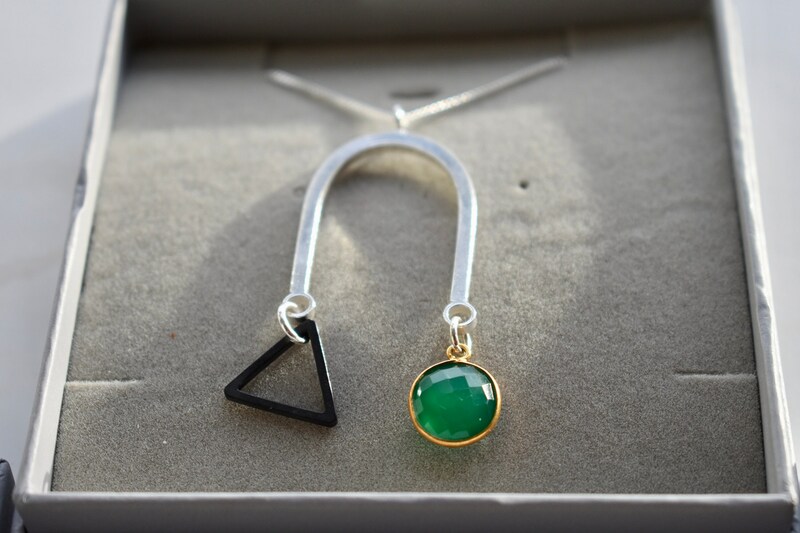 Please expect around a 3 days lead time from placing your order until dispatch (this doesn't include additional shipping time), but I always aim to make and post as soon as possible.